A man's trip to Disney World sparks a revolution in his thinking that strangely alters his quest for a true education. Ultimately, he redesigns a popular Disney attraction and predicts the trajectory of human development, while settling the long-standing feud between science and religion. "Why did women lose their facial hair during evolution? Where did the notion of god(s) come from? Why did self-awareness arise in the torso before migrating behind the eyes? What transition sparked the feud between science and religion? All of these questions have simple and logical answers." Available in paperback and hardcover from . . .
It’s not properly fiction, but it is fiction. If you’ve read Sophie’s World or anything by Jostein Gaarder you probably know what I mean – it is meant to teach people, but also fascinate and entertain. . . . 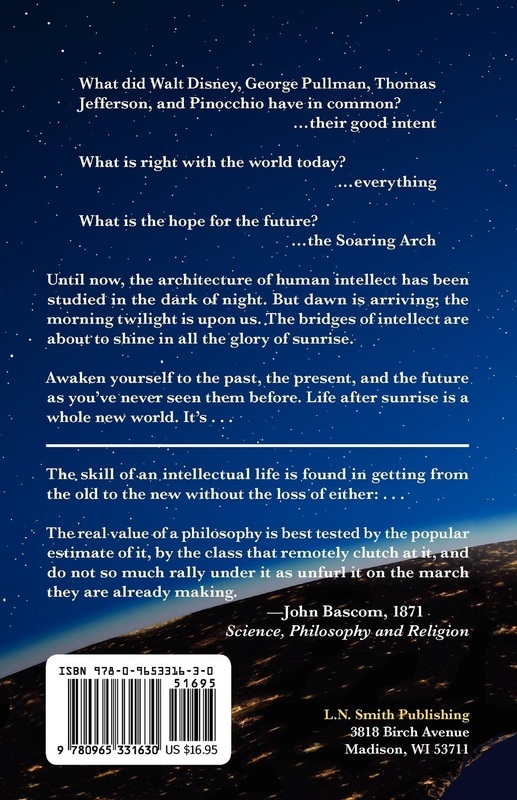 The book tells the story of awakening, of learning and of the world today and tomorrow. You only understand that if you went all the way through, it’s impossible to understand before then. It has something to do with Disney, but not really. It is about Walt Disney, Thomas Jefferson, Abe Lincoln and so many others, but what it is most about is us. Human beings. Normal and ordinary humans. 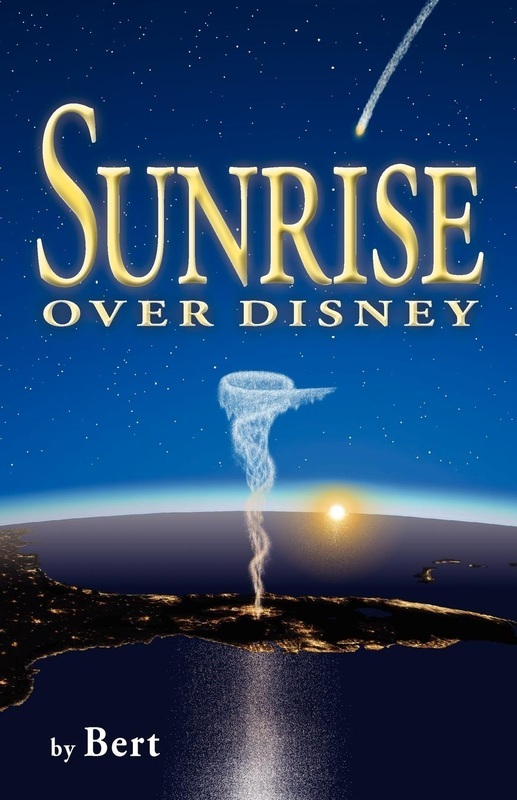 I loved Sunrise Over Disney . . . I am always amazed by the ease with which you describe such complicated topics. The Jungle Cruise [in Part V] covered and fortified every history class I’ve ever taken, while giving a detailed view of human intellect. This beautiful book is written with superb style in a way that any grammarian would admire: 452 pages of perfect grammar, punctuation, sentence structure, and spelling. In the end, readers may be surprised to see eight pages of bibliographic sources, revealing the incredible amount of admirably detailed research that went into the composition of the book.